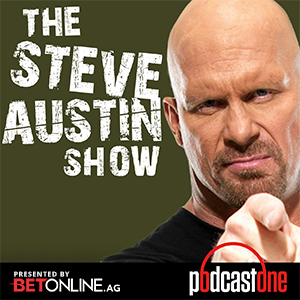 PodcastOne: "The Nature Boy" Ric Flair Returns! WOOOO! "The Nature Boy" Ric Flair makes a triumphant return to the podcast to shoot the breeze with Steve about what's causin' all this! Get the low down on how Ric is feeling these days after his health scare last year as well as thoughts on how his daughter Charlotte is doing the WWE, memories about Harley Race, Blackjack Mulligan, Ricky Steamboat, wrestling in Japan and much more! Head over to BetOnline.AG and use promo code PODCASTONE to receive a 50% sign up bonus. Go to www.DDPYoga.com/Austin to get 20% off the Annual Membership for DDP YOGA NOW App and all DVD packs Visit GetQuip.com/STEVEAUSTIN to get your first refill pack of replacement brush heads FREE with a QUIP electric toothbrush.